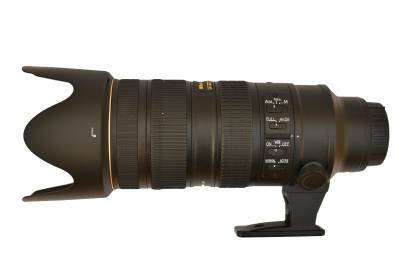 The 70-200mm f/2.8 is a professional fast telephoto zoom lens. It does what it is supposed to do, and does it well. After having shot the Chaharshanbe Suri with my trusty Nikon 55-200mm f/4-5.6[a], I throught I'd look into renting a better lens for the upcoming hafla at Layali. The hafla would be held in a fairly small and dark room, so the extra low-light capabilities offered by a fast lens would be very useful. I went to the local camera shop, Rajala Pro Shop[b], and rented one for a day for 500SEK. On the whole it worked out beautifully. The constant f/2.8 aperture gave me one stop more light at the wide end and two stops more at the tele end. This may not sound like much, but it allowed me to shoot at 1/100s at ISO 1600, instead of 1/60s at ISO 3200; a combination which provided much sharper images with a lot less noise. The only downside was the 70mm minimum. When I tried to shoot a duet I could for the life of me not fit both dancers in the frame - something I hadn't had any problem with when using the 55-200mm. The lens is big, and it is heavy - at least compared to the 55-200mm I use normally. When using it with a D3200 like I do, it's not a case of attaching the lens to the camera - it's a case of the camera hanging off one end of the lens. Photographing people on a stage is easy, as you can compose the shot by nudging them into the right position with the lens. That was a joke, but just barely. It really feels that big. One factor that I don't think has been evaluated enough is the psychological effect of having something like the below aimed at you from close range. It's intimidating. It's like staring down the eye of Sauron. It sees right into the darkest recesses of your soul. Performance is excellent, as it should be for a pro lens like this. 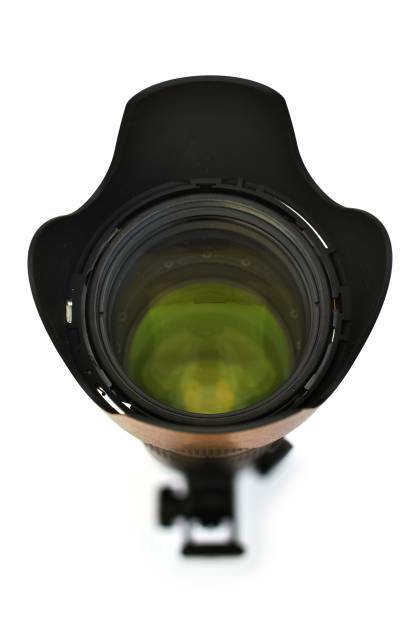 The zoom is smooth, the autofocus fast, and in general the lens just works, and works really well. For samples, please see Hafla Layali, April 2013. All photos there were shot with this lens and a Nikon D3200. It does what it is supposed to do. 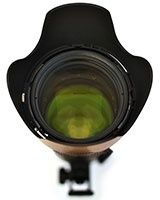 As I wrote above, the reason for this lens is to use its large aperture to get fast shutter speeds combined with relatively low ISOs - and in this the lens excels. While it is no doubt excellent in bright light, the price and weight penalty is too great and I'm sticking with my 55-200mm, which also gives me 15mm more at the wide end. Still, for work in the 70-200mm range in low light, this is it.